XXVI, 347 p., 8 ill., 17,7 x 25,4 cm. In cooperation with Lorenza Castella and Eberhard Heller. This volume bears wittness to Reinhold‘s indefatigable creative power. Through long articles in the ›Teutschen Merkur‹ (›Die drei Stände‹, ›Die Weltbürger‹ as well as ›Beytrag zur genaueren Bestimmung der Grundbegriffe der Moral und des Naturrechtes‹) Reinhold prepared for the publication of the second volume of the ›Letters on the Kantian Philosophy‹ in October of 1792. The correspondence with Wieland and Baggesen was given top priority. 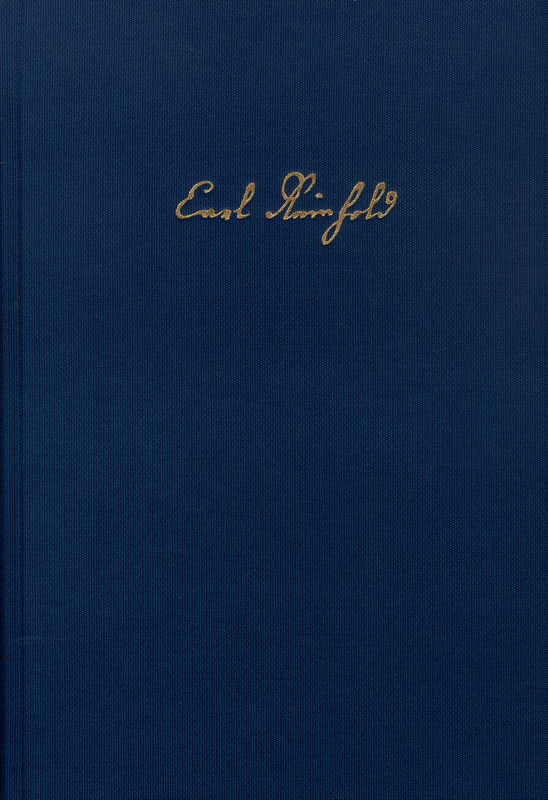 Reinhold remained in touch with Erhard, Maimon and Kant. The volume contains detailed indexes of subjects, persons and places as well as lists of Reinhold’s writings and reviews from 1792.